Home stay in India could be as interesting as traveling to this incredible land! Travel made easy "your online travel mentor" showcase some of the best and worth experiencing Heritage home stays in India. The concept of home stay is considered to be the best alternative to hotel accommodation in the hospitality industry. Home stay helps you come across land, people, culture and cuisine of any place in its pristine elements unlike hotel accommodation. These Homes have their own history and stories to tell, run by the families who have inherited the culture and hospitality. Travel to India, stay awhile and take in the aroma of the soil. Staying in some five star hotel is not the answer to your travel to India. 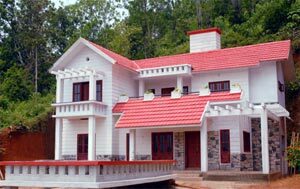 We suggest you either rent out a cottage or home-like accomodation or better still homestay with an Indian family. 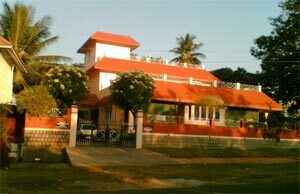 India is known for its hospitality and you will be surprised to see how much of India you will see if you homestay in India. This is our idea of budget travel in India. Our travel tip is to Homestay in India. The advantages of Homestay are many. You can actually feel and see the daily life in India. It is a very cheap holiday package that pays rich dividends. You may travel to India for just a week or two but you will carry back good memories for a lifetime. After your homestay travel to India you will make lifelong friends from a country that you love. Give a personal touch to your holiday in India.